First, let's get this week's missionary comic out of the way. Pity Elder Van Dyke, his strip has been on this website for nearly four years and he's just now celebrating his hump day. General Conference is right around the corner and I've got a number of activities to make it a more pleasurable experience for you and your little ones. First, if you have an iPhone, iPod touch, or iPad; you really ought to download LDS Coloring Book and LDS Scripture Heroes. Both have limited, free versions, but both are worth upgrading to the full versions for only $4.99 and $1.99 respectively. LDS Laughs doesn't cost anything to download onto your Apple device, but I wouldn't recommend using it during Conference (maybe between sessions). 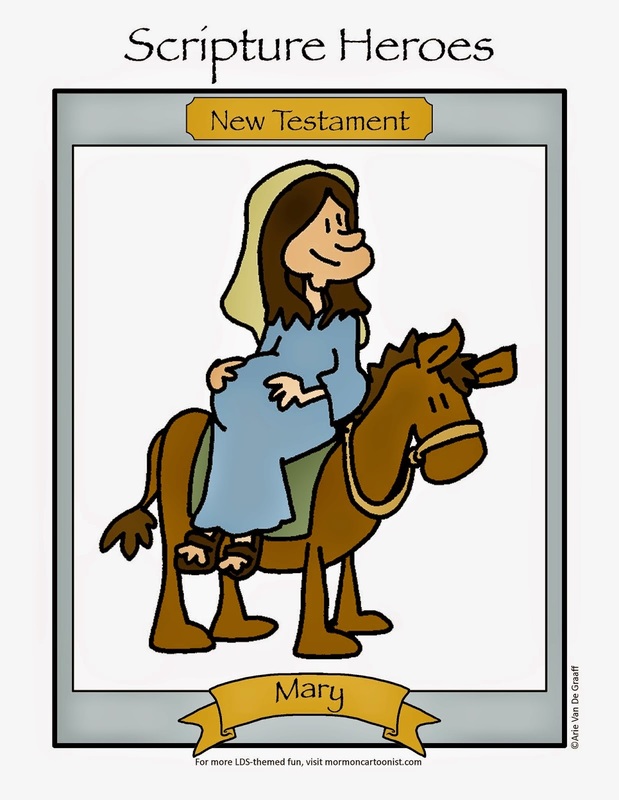 I've also got some free activities for you and your family: You can download and print the all the coloring books from the LDS Coloring Book app here. And you'll want to be sure to download this year's Conference Activity Packet at either LDS Clipart or Sugar Doodle. 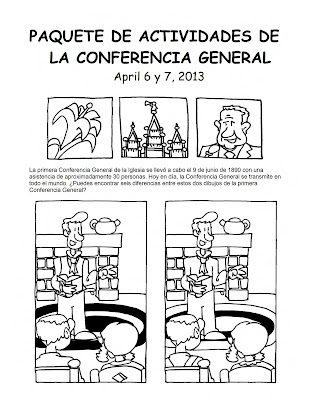 Finally, for the first time ever thanks to the awesome work of Fressia Aguilara the General Conference Activity Packet is available in Spanish here. Thanks, Fressia! Your Conference Packet is great! I love that you offer it to everyone...which is why I gave it to all of the kids in our Ward Primary. Love you Conference Packet, just printed 2 for my kids :) and I will be getting you apps too. Thanks!! Do missionaries on a mission together, living in the same room, have to call each other "Elder" before their name like this? I used to always invite missionaries in my house when I lived in New Mexico, but I always wished I knew their first names. Missionaries are encouraged to refer to each other by their titles (either Elder or Sister). I suspect the practice is in place to further encourage otherwise immature 18, 19, 20, and 21 year olds to behave like the representatives of the Church they are charged to. I've met a few missionaries who were uneasy to share they first names when asked, but most have no problem doing so.